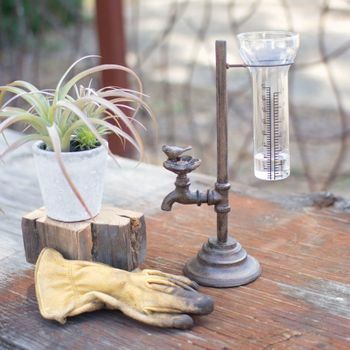 We've always appreciated products that look good while being useful. 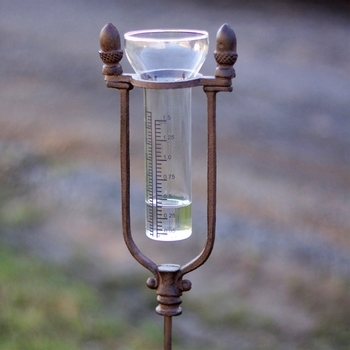 It's why we love decorative rain gauges. 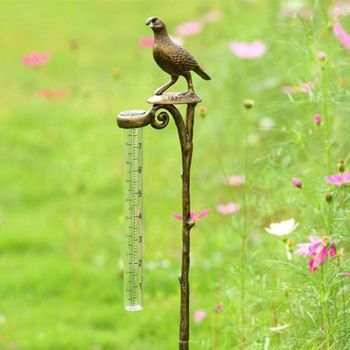 Whether staked in the garden or gracing a table top or railing, the sweet aluminum and cast iron water catchers depict indigenous animals and elements of nature while providing a precipitation inch count. 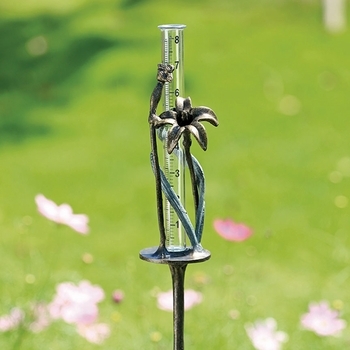 With glass vials that are both wide mouth and slim and with a range of measurement from five to eight inches, these decorative rain gauges perform their singular task while adding an entertainment feature to the process. Failure is not an option - we even carry replacement glass gauges in the event of an errant lawnmower or Frisbee contest. 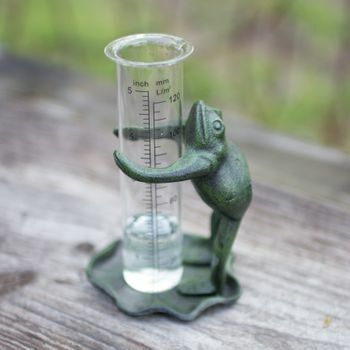 Weather resistant glass and aluminum moisture measurers that work tirelessly to bring a smile to family and friends. Choose from tall and short staked gauges or our deck and tabletop selections.